Despite informing the Prime Minister's Office last week that he was resigning as an MP to deal with a gambling addiction, Raj Grewal remains a member of both the Liberal caucus and the House of Commons. 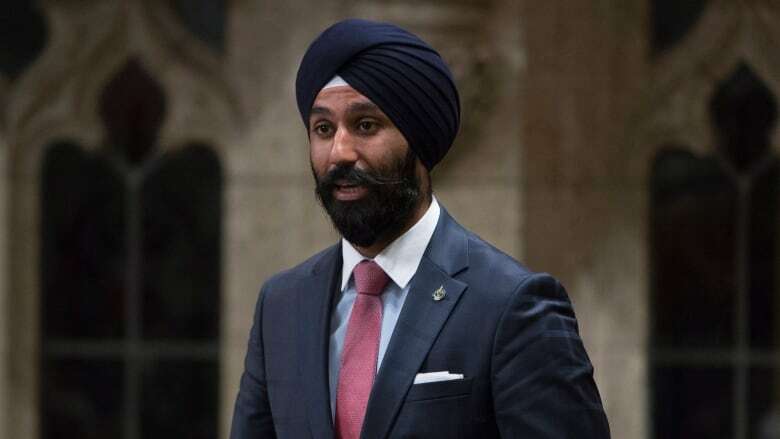 Despite informing the Prime Minister's Office last week that he was resigning as an MP to deal with a gambling addiction, MP Raj Grewal remains a member of both the Liberal caucus and the House of Commons. The news comes despite opposition demands for clarification on when the PMO was informed Grewal had come to the attention of the RCMP and the OPP. "When we met he said he was resigning as a Member of Parliament. It was my understanding that that was going to be imminent and I suspect that that is something that he will be doing in the very short term," said Mark Holland, the chief government whip. The Brampton East MP announced on Thursday of last week that he was stepping down immediately, citing "personal and medical reasons." The following day, the PMO released a statement saying that the resignation was related to a gambling addiction. Despite that statement, Holland said today that as far as he knows Grewal has yet to send a letter to the Speaker informing the House that he is stepping down and leaving politics. The issue came up during question period today when Conservative MP Mark Strahl, standing in for party leader Andrew Scheer, kicked off with questions about what the PMO knew and when. "We've learned that the gambling debts of the Liberal MP for Brampton East came to light as the result of a police wiretap," Strahl said, citing media reports. Liberal House Leader Bardish Chagger replied, saying that the PMO was informed the previous week. It was not clear from her answer if she was talking about Grewal telling the PMO of his decision to step down, or some sort of official contact from the RCMP or the OPP about Grewal. "It was last week that we were informed, and the member has told us that he is addressing certain challenges and receiving treatment from a health professional. We hope that he receives the help that he needs," Chagger said. Strahl was unsatisfied with that answer. "With an investigation touching on drugs, money laundering and international terrorism," he said, "it is simply not believable that no one in this government was made aware of this serious investigation." Chagger again replied by saying that "it was last week that we were informed." Last week, CBC reported that Grewal's most recent filing with the ethics commissioner's office showed he has been carrying lines of credit with three separate banks: RBC, TD Bank and Scotiabank. He also holds an HSBC mortgage with another individual. According to sources, when Grewal was a member of the House of Commons finance committee, he was routinely late for committee meetings and often showed up unprepared. Holland confirmed this week that Grewal's recent move from finance to the health committee was not related to his gambling debts but rather was a matter of "internal machinations." NDP MP Nathan Cullen grilled the government in the Commons today about Grewal's time on the finance committee — especially the questions the MP asked senior RCMP witnesses about how they investigate money laundering. "The Liberal MP from Brampton East was appointed to the finance committee by the prime minister, where he asked troubling questions of senior law enforcement officials about how to avoid detection. This raised red flags with the RCMP," Cullen said. Again, Chagger replied, saying only that Cullen is a "seasoned professional" who knows that the RCMP operates independently of government.